It’s time for another round of “Is It Primal?” This time, I’ll be covering six questionable foods. First, I tackle whether or not cod liver oil has a place in a Primal eater’s pantry (or fridge), and whether standard cod liver oil is worth it. Then, I get into the suitability of mead, that honey wine popularized by the Vikings, followed by maple syrup. 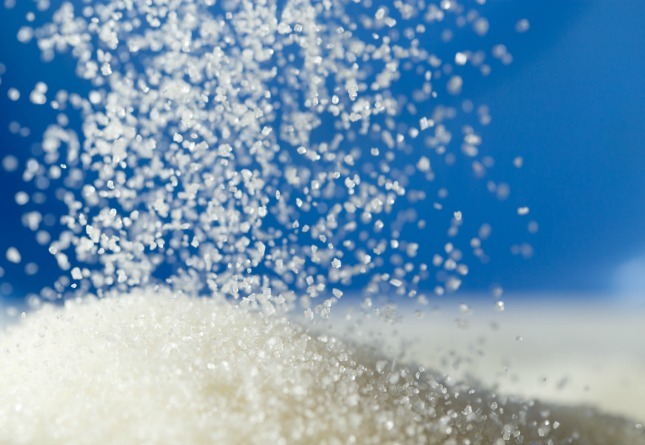 Is it another “safer sweetener,” just like honey, or is it sugar masquerading as a health food? After maple syrup, I dig into pectin, binder of jam and jelly; and sunflower butter, also known as sunbutter, a popular replacement for peanut butter. Finally, I scrutinize the food about which literally everyone in the Primal blogosphere has been wondering, the food that’s getting an entire panel at the 2012 Ancestral Health Symposium, the food that we’ve all been eying in the meat section: camel meat. This one’s easy to answer. Cod? It’s a rather lean fish from colder northern waters – definitely Primal. Liver? It’s harder to get more Primal than liver, to be honest. And although processed seed/vegetable/hydrogenated oils aren’t Primal, most other oils, like coconut, olive, and palm, come highly recommended. So, yes, cod liver oil is Primal. But what we’re really wondering is whether or not we should eat the stuff. Should we? Perhaps. Cod liver oil is a fish oil, so it’s a good source of omega-3 fatty acids, particularly EPA and DHA. If we’re not regularly eating fatty fish, we should be adding a supplementary source of omega-3s to our diets. Cod liver can be that supplementary source. However, cod liver oil isn’t just a way to get omega-3s; it’s also rich in vitamin A and vitamin D. In fact, in cold northern climates that get little sunshine, cod liver oil was (historically) a common way for people to obtain enough vitamin D to avoid rickets and other maladies. I wouldn’t rely on it solely for my vitamin D requirements, but it can provide a nice whopping dose of pre-formed vitamin A for those who don’t eat animal liver. And as Chris Kresser said, cod liver oil is a sacred superfood for fertility and pregnancy. However, he recommends the fermented cod liver oil from Green Pastures, which is cold-treated, rather than heat-treated, and contains only the vitamin A and vitamin D naturally found in fish liver. Many people suspect other cod liver oil brands use synthetic vitamin A, which acts differently than foods that contain vitamin A. If any alcohol is Primal – and I’d argue that moderate alcohol consumption absolutely has a place in many a Primal living plan, including my own – then mead, or honey wine, must also be included. Why? With evidence of production as far back as 9000 years, mead was likely the first alcoholic beverage produced by humans (that reads a bit like I’m suggesting other animals, or perhaps aliens, produced alcohol before us, doesn’t it?). Even if you don’t accept that admittedly biased source of information (GotMead.com, really? ), the fact remains that humans have been eating honey for tens of thousands of years. Somewhere, sometime, Grok must have left a stash of honey out a bit too long and had it ferment on him. After tentatively tasting enough of the bubbly, funny-looking result and enjoying the effects, this would become a regular thing. This is speculation of course, and it doesn’t mean mead is good for us, but I’d argue that we certainly have a long-standing tradition of enjoying fermented honey-based beverages. And that has to count for something, doesn’t it? Seriously, though: if you’re okay with honey and alcohol, mead is a decent option. It’s gluten-free, at least, and contains a fair amount of antioxidant activity (less than red wine, but more than white wine or a disgusting concoction known as “soy-mead”). Verdict: Primal as much as any alcohol is Primal, especially if it’s the Mead of Poetry, made from the blood of the wise Norse god Kvasi, which turns its drinker into a great poet and scholar. Sugar’s sugar’s sugar, right? That’s often the general message floating around our circle, but I’m not sure it’s entirely correct. After all, fruit has sugar, but it’s also got fiber and phytochemicals and vitamins and minerals, and it’s handled differently in the body than, say, a bottle of fizzy HFCS. Same goes for honey, for which I did an entire post where the basic conclusion was that honey was a “safer sweetener” than plain white sugar. Then again, something being “natural” doesn’t make it healthier, as is the case with agave nectar; a previous “Is it Primal?” revealed that agave nectar is treated just like sugar and HFCS in the body and that raw white sugar actually contains more antioxidants than the vegan sweetheart. Which brings us to maple syrup – where does it stand? Well, maple syrup defeats agave nectar and white sugar in the antioxidant department, but that’s not very difficult. 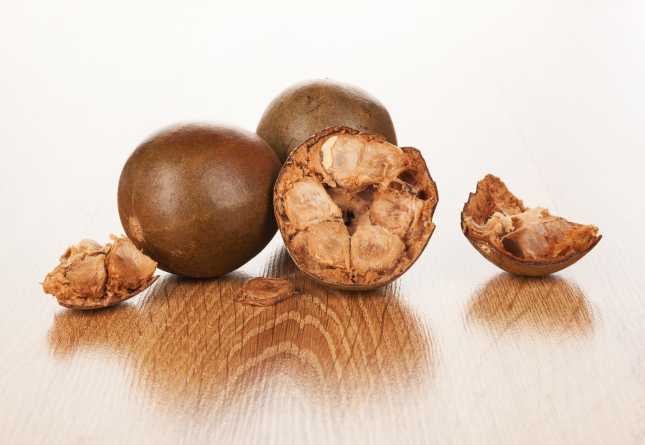 It’s also been eaten for centuries as a traditional food, perhaps even longer, since the native Americans were producing maple syrup when the Europeans arrived in the Americas. A recent study identified 54 phenolic compounds in real maple syrup, including one dubbed quebecol that actually forms during the process of boiling sap down into syrup. Since honey owes its unique metabolic effects to the presence of dozens upon dozens of phenolic compounds, I would guess that maple syrup is one of the safer sweeteners. Verdict: Primal limbo, but use caution, as it’s still sugar. Like with most prebiotics, fermentation of pectin by gut flora can result in the production of butyric acid, a short-chain fatty acid with benefits to our metabolic health. Pectin lowers LDL cholesterol, which may not mean much if it’s not also lowering total LDL-P (particle number), but it probably doesn’t hurt. Oh, and it’s better than wheat fiber at lowering cholesterol. Pectin also reduces the postprandial insulin and blood glucose responses to meals containing carbohydrates. Despite the above effects, do I recommend going out and buying pectin packets to use as supplements? Not really. Just eat fruit and vegetables, which are the richest sources of pectin in our diets, and you’ll likely reap the benefits. I suppose you could also try making some low-sugar jam, especially if you’re the type of lucky dog to have an entire forest of wild raspberries at your disposal. Verdict: Primal, depending on where you get it. In response to the epidemic of peanut allergy among the nation’s children and the first commercial attempts at a replacement being miserable, disgusting failures, the Agricultural Research Center devised a worthy, safe replacement using sunflower seeds in place of peanuts. However, they didn’t just grind up some seeds, add a bit of salt, and call it a day. They were trying to replicate peanut butter – texture, taste, spreadability, everything – and that meant the use of additives and stabilizers. A 2005 paper (PDF) reveals how they arrived at the optimal sunflower butter: by roasting the seeds in soybean oil, adding salt, lots of sugar, and a healthy dose of hydrogenated cottonseed and canola oils to act as stabilizers. Sounds delicious, huh? That said, not all sunflower butters are hydrogenated abominations. Health food and quality grocery stores will carry good stuff, or you could just make your own batch. Sunflower seeds, like most other seeds, are definitely Primal, albeit a little high in omega-6 for constant consumption. The thing about sunflower seeds is that they take work to eat. They’re self-limiting. You have to remove the shell and all you get is minimal payoff in the form of a tiny seed. If you’re doing sunflower butter, all you have to do is unscrew the top and you’ll be swimming in the stuff. Verdict: Primal, but be careful with overdoing it. And watch your ingredients. This was my favorite option provided by you guys. Not sure why anyone would wonder about camel meat being Primal or not, but here goes. Meat is meat, for the most part, and that goes for camel meat. It’s usually treated as a red meat, albeit a tough one that requires braising if you get an older animal (though meat from the younger camels is sweeter and more tender). High in iron, copper, and zinc, camel meat is like most other red meats in mineral content. Though camel meat is fairly lean (I’ve seen estimates of between 4-10% fat), the camel’s hump is almost entirely fat, primarily saturated and monounsaturated. Camel meat is about 44% saturated fat and camel hump fat is 60% saturated (mostly palmitic and stearic acid). I’d imagine you could let your local camel farmer know that you’ll “take all the humps your customers don’t want” and make a killing. I’ve heard excellent things about the richness of camel milk. If you do dairy and have access to camel milk, try some. It’s incredibly creamy and has even shown anti-cancer effects in vitro. One word of caution, however: know your source, especially if you plan on eating raw camel liver. You wouldn’t want to be the one guy in your circle of friends who comes down with bubonic plague, would you? That’s it for today, folks. Be sure to write in with any other foods you’d like me to scrutinize. Take care and Grok on! < Previous postIs It Time to Retire the Low-Carb Diet “Fad”? Camels are feral animals in outback Australia and would be a good source of large game meat – if you had lots of people to share it with or some sort of refrigeration. Otherwise at 40 degrees C (105 F) it would go off very quickly. I live in the Middle East (Dubai) and regularly drink camel milk. The story told to your friend is not true, I’ve experienced no deleterious effects from drinking camel mil. On a hot Dubai day a half pint of cold camel milk is particularly refreshing. My wife is allergic to cow’s milk and so her treat is camel milk chocolate, it’s good with a slightly wild taste. here in northern Kenya, camel milk and yogurt is easily accessible, as is the meat, unfortunately camel milk is touted as a miracle drug that can cure a whole list of ailments from cancer to AIDS. But, hmm, Mark forgot about cricket powder! I had camel in Australia and it was rather tastey! I was really surprised by the flavor. I also had Emu, Croc and Kangaroo, which were all pretty lovely. The Emu was roasted in red wine, pretty spot on! I like Peruvian deep fried guinnea pig myself. Actually Mr. Rurgundy, in Peru they really do eat guinea pigs. In fact, that’s what guinea pigs were originally bred for: eating! Ahhh Australia, the only country in the world where we eat the animals that are portrayed on our Coat of Arms. They sell Camel Milk Chocolate in Dubai…sounds weird but tastes pretty good! It definitely wouldn’t be my choice of treats but was a fun souvenir to bring home! What’s the difference between ‘cod liver oil’ and regular ‘fish oil’? Fish oil is taken from the whole fish. Cod liver oil is oil just from the liver, so it has vitamin A and D that is concentrated in the liver. Fish oil doesn’t have the vitamins, but both have Omega-3. And cod liver oil is awesome. I like to combine sources, and take Green Pastures Fermented CLO as well as a good Fish Oil. Obviously you’d reduce each when in combination, versus what you’d take if you were taking either on its own. Green Pasture also promotes their CLO blended with High Vitamin Butter Oil, a synergistic combination discovered by Weston Price. I go for the capsules personally. The regular jars of the stuff remind me of wax (especially if refrigerated) and I find it nearly impossible to swallow a cold glob of fishy-tasting wax. Talk about fish burps. And chocolate cream-flavored fish? Uh, no. Oh, if you ever go for the cod liver/butter oil blend, stay CLEAR of the chocolate cream!! The cinnamon is fantastic, and really doesn’t taste fishy at all. If you can gulp down a spoonful of coconut oil, the cinnamon blend is easy peasy. My whole family takes it, and it’s cheaper than the capsules (especially since the kids can’t swallow pills anyway). But DEFINITELY stay away from the chocolate cream. It is HORRID. It tastes like straight FCLO with a crapload of cocoa powder thrown in. Thick, very fishy, and bitter chocolate-y. NOT a good combination. Words cannot express enough how gross it is. You tackled two of my favourites today – maple syrup and sunflower butter. I love them so much that any day now someone in my family is bound to stage an intervention. It’s just as I feared, they’re not terrible but they’re not exactly a health food either. Sigh. Back to the drawing board. P.S Anyone know a good supplier mead in Canada? Sounds like it could be my next ‘vice’. Hey, Cat – don’t let this secret get out, but mead is probably the easiest alcoholic beverage to make yourself. (about a pound/500g of honey per gallon/4L water, simmer, skim, cool to blood temp, pitch yeast, and wait). That’s how I got started, and neeeever looked back. wow! a new yummy science experiment! thanks for sharing. Mead is super easy! We make different flavors. My favorite is chamomile & ginger from the garden. Adding wild berries also makes some delicious ones! I made a great maple syrup and cayenne pepper mead… very tasty I enjoyed it way too much… 🙂 fortunately or unfortunately it was a 1 gallon batch. I may have to do this one again. A pound/gallon will give you an extremely dry mead. If you want a decent amount of sweetness, I’d recommend 3lbs/gallon. If you want really sweet (and a much higher alcohol content, to boot) you could even go up to 5lbs. I’ve got a 5 gallon batch going right now, and I used 15lbs of honey from a local apiary. This is my 4th batch of mead. Mead is super easy to make yourself….and I can’t think of a nicer vice! 😀 you’re welcome! I had a chance to taste test some mead at the local farmers market. Only about 3 shot glasses worth and I was walking wobbly. Potent stuff! Cat, as Erok and Marile both said, mead is easy to make. I haven’t made any myself, but my husband, brother and father have. You could Google it and come up with dozens of recipes. Or if you know anyone in the SCA (Society for Creative Anachronisms – does recreation of the Middle Ages and Renaissance)you could ask them. If they don’t make mead, I assure you that they know plenty of people who do. They can get you a couple of favorite recipes. I know someone who made root beer flavored mead once. I did not try it, but it sounds interesting…. Heck, you can even buy a kit that contains everything you need to make mead. Where do you live? We’ve got several brands of really good mead, depending on your province and such. Are you in PEI? There is a honey producer local to me that sells mead! My friend makes the best homemade mead! It’s so much better than the commercial stuff. My favorite is her blueberry mead, almost like blueberry soda with a kick. Her recipes are on http://www.MeadLady.com if you want to make your own. MEAD IS PRIMAL (enough)! Best news all week! Since going Primal my husband and I drink red wine and pass on the white, but to know Mead falls in between is downright exciting! Midas Touch by Dogfish Head. Very tasty, cool story, but hard to find. Good to know about the cod liver oil. I just started taking it this week, and I can’t believe how much more energy I have. I was already doing the vitamin D, so it must be the A? Tell me more. I am well aware of the cod liver oil benefits and will try some myself soon. It is just expensive and I know i don’t need it so I am waiting till I have some more money. What brand do you buy? I’m definitely going to start with Green Pasture unless you or someone else has a recommendation for a brand that is just as good but cheaper. Nordic Natural for cod liver oil is one one of my favorites, quality, purity, and responsible fishing practices. A great website for info. Never think cheap when it comes to oils, as common contaminants range from mercury PCBs. To save money, buy liquid, the most economical form of oils, no encapsulation costs. Cod liver oil can oxidize quickly if not properly cared for. The two best brands are Green Pastures and Garden of Life. Green Pastures is fermented the old fashioned way and is high in vitamins, very highly absorbed, but it’s more expensive and the taste is real strong, but it is worth it. Garden of Life is is cheaper, still has high vitamins and the taste is easier. So it is very good. It’s emulsified rather than fermented, so it’s cheaper. A good place to start first. All the other brands have lower vitamin content, but good omega-3. And fish oil is good for omega-3, but no vitamins. Take it every day for 3 months and you’ll be convinced. It’s awesome stuff. $15 Great flavor and I do not love fish. Full amount of vit D, many brands are removing the vit D, why? I have been taking cod liver oil for 4 years now and have noticed that if I take it in the AM I can doze off sitting on a stool and if I quit taking at bedtime, for a week or two, my sleep does suffer. This is just a personal observation, tested over many years. Has anyone with a serious shellfish allergy tried krill oil, I am chicken. The best kind is the one with high vitamin butter oil. Read the info on it on the WAPF website, they explain it all. Thanks for all of your responses! I will definitely buy it sometime in July. I think I’ll probably go with Green Pastures Cod Liver/Butter Oil mix to start. Has anyone tried this specific one? I love real maple syrup. I wouldn’t care if it was made from crushed puppies. Thank you for these “Is it Primal?” posts. Not only are they informative, but your wit shines through. We buy Marantha brand nut butters, including sunbutter. The ingredients listed are: Roasted sunflower seeds, sea salt. Can I assume that no oil is used in the production of this particular sunbutter, or are they sneaking a processed vegetable oil of some kind by me? I went to Primal Con last year and we had a sample of macadamia/cashew butter in our goodie bag. if I remember correctly, the brand was Marantha. If my memory is correct then I’d say you are definitely safe! One of Maranatha Almond butters has cane sugar and palm oil added, and one of the Cashew butters has safflower oil added. The Maranatha plant also processes soy and peanuts, and they label their products with “may contain peanuts, soy, and tree nuts”; I can personally attest that this is not for those of us food allergies. Interesting. Maybe it was NOT that brand that was presented at Primal Con last year. Although I still think it is. Many brands have the added oils yet still have ones that are pure. The ones with cane sugar and palm oil are the no-stir kind. This one is easy. It’s Primal. It’s a super healthy fermented food. Ah, nothing like fermented tea! That is one of the few drinks that I’ll drink besides water, coffee, and tea. Wait Kombucha is tea. Is Kombucha beneficial when you only drink it sporadically? Is it something you should drink regularly? What exactly is it doing that is so good for me? I wouldn’t drink it every single day for the rest of your life but enjoying a cup a few times a week seems ideal for most. It’s for gut health. Just like with other fermented foods it improves your digestion. It’s an awesome base for smoothies! I personally buy GT’s Synergy brand. It’s very expensive and can’t wait to make homemade but this brand will do for now. It’s as legit as it gets. Oh and it has a decent amount of B vitamins including Vitamin B12. I gotta say I’m a little ecstatic that Mead made it on the list. My father-in-law posted this on my facebook wall this morning and it totally put a smile on my face, seeing as a still have a quarter of a bottle of Mead sitting next to my desk right now. For many who don’t know about Mead, the combination may sound a bit strange. But once you try it, I can almost guarantee that you’ll wish they sold Mead in ALL liquor stores! That is the downside to it. Mead is actually pretty hard to find already bottled. The stuff I get comes straight from Germany, where the shipping is 3 times as expensive as a bottle. But hey, if you’re having a hard time finding a bottle, just make it yourself! All in all it takes about 6 months to fully ferment, and a year to increase the potency. Anyways, thanks for bringing the “Nectar of the Gods” to our attention! And boy am I glad it’s primal! Binnys also carries mead, at least the one out in Glenn Ellyn (IL). They have Wild blossom and Viking Blood (like this one) actually they have about a dozen different types of mead maybe more. I’ve probably tried most all of them except the $80 bottle… a bit too rich for me. Thanks for answering the Maple Syrup question! Now I can use it in my recipe(s) without worrying too much. Luckily, most of it gets discarded after the chicken’s cooked, so the only thing I DO need to worry about is the COST. This is EXCELLENT. I just used up my last bit of maple syrup (8oz probably lasted me 6 months, haha) and I bought a 12oz bottle of organic extra dark amber Grade B maple syrup from Trader Joe’s on Monday. Funny coincidences. Sometimes I feel these posts are written just for me. Ah, the beauty of MDA. 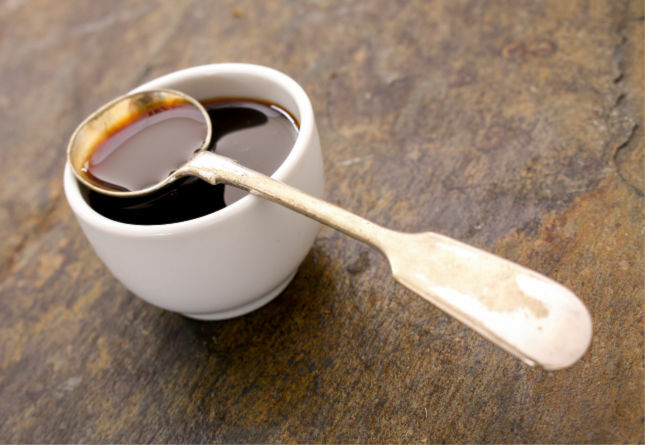 I have a spoonful of blackstrap molasses in my coffee almost every morning. It’s basically a dollop of healthy minerals, right? Right? Guys? I’m pretty sure mark has recommended Blackstrap Molasses before, but regardless I love putting it in my coffee as well. He did in his How to Win a Marathon post, he used it in his energy drink. He said something like it’s the third boil down in making sugar, so it has all the nutrients of sugar cane and tons of minerals. Sounds like a biz-op to me – convert the ranch to camel stock – what do they eat, sand. That gave me a good belly laugh! Pectin seems like an interesting thing to experiment with for nonsweet sauces, gravies, vegetable “puddings” that would ordinarily contain bread, crackers or flour, or for primal desserts for those special occasions. Hmmmmm…..
Great post as usual Mark. I was wondering if you could write about rice flour and/or black rice? I ate plenty of camel meat while living in Mongolia. It is very good and as Mark mentioned in the post the younger the better. I tried camel milk once and didn’t like it but I’m not a big milk drinker. Yup, and it never should have made the station in the first place. Stupid agave is in EVERYTHING now, and in otherwise primal treats for my lean, active husband… It is getting harder to find things sweetened with honey or maple syrup on the “quick grab baked treats” shelf. He gets a little pudding cup or mini cake/tart once or twice a week. They’re generally rice/tapioca/potato based with some nut and fruit… But I still make him read labels and if it has Agave, it goes back on the shelf. LOVE me some mead! It’s hard to find, though, so I’m thinking of trying to make some myself. Nice, I just went and did a tasting at a meadery in Grand Junction, CO (meaderyoftherockies.com). Mead is awesome. Every time I drink it I think of that scene in the 13th Warrior. RE: Sunflower Seeds… I used to eat the WHOLE seed, shell and all…. And RE camel meat, has anyone seen that No Reservations where Anthony Bourdain partakes in eating a whole camel? It’s an incredible sight. I like cod liver oil because it is rich in Vit-A, which is important in the production of testosterone, not to mention a diet high in protein depletes vit-a. As for maple syrup, it too is awesome. I often use a little on grilled sweet potatoes, which by the way are powerhouses in terms of the aforementioned vitamin-a. cod liver oil vs. Krill oil? I use the later and the Astaxanthin helps me against sunburn. Dr. Mercola recently wrote on the benefits of Astaxanthin. If it is working then stick with it. Thats the oddest post in a while : walking home just now I wondered if camel was primal and an hour later I have the answer. The reason I was wondering is I live in Dubai… Camels everywhere, although not so often in the butchers. If so they would be old ones too : those beasts are expensive – you pay more in insurance here for hitting one in your car than if you hit a human! (urban myth? Not sure). My main thought is : is it worth driving to the far end of town where all the local butchers are when I can get organic beef a km walk away at the local shop… Not sure there enough benefit to offset the petrol! However, if I’m ever offered- I’m tucking in! You shouldn’t need that stuff if you’re eating enough veggies and fat. I’d like the answer on this one too. I take it every morning but have been wondering if it fits the Primal bill?? how much mead do you have to drink to consider eating camel? A long, long time ago, a Norse God got drunk on mead and had a one night stand with a vegan. A few months later, their lovechild Soy Mead was born..
What about Stevia as a sweetener? Good or bad? So glad to read about maple syrup! I have a mason jar of that in my fridge right now…I can get all the free maple syrup I can use from my parents who tap their own trees and boil it down. I use it in quite a few dishes I make and my husband always comments “This has such great taste to it!” If he only knew! As always Mark, thanks for the great info! Cool! You’re lucky. We used to maple tapping on school trips and there was nothing like that fresh free syrup. How does Tahini (roasted Sesame seeds) fit in to the primal diet? I’m afraid sunflower seeds are on my off list being as I am as allergic to them as some people are to peanuts. Strangely enough I’m not allergic to peanuts although I have minor allergies to most other nuts. YAAAAY! Thanks fo tackling mine (and I’m sure many other folks’) question re mead!! My suspicions that it was primal (as much as alcohol can be) are justified and the 20 gallons of the stuff I have fermenting in my basement can rest easy knowing that I’ll drink them instead of giving them away as I am wont to do! That said, I’m definitely going to have to incorporate maple syrup into my morning coffee or tea as a sweetener and see how that fares. Like drinking a pancake, I hope! And camel meat?!? Sign me up, but where to find it? Are baby penguin tears Primal? It’s sad having to pluck their nostril hairs to make them cry, but those tasty salty tears have enabled me stop taking my Viagra. Their meat is also tender. The retinol form of vitamin A (in Cod liver oil) can be overdosed so taking too much can be a bad thing. Hey is this the same as Tej the east African honey wine made with gesho leaves and roots. Tej’s base is pure wild honey from Africa with certain herbs added depending on which side of the Nile you’re on the blue or white side. The Sudanese have a very tasty blend all their own too. I’ve tried them both and I like the Tej blue Nile the best. I am now completely confused on sunflower subject. DeVincy said no seeds, they are toxic. I asked before about cold-pressed sunflower oil, like they use in Russia. They said too much O6, no-no, no go, even if it is non-refined and used as a salad dressing. But what the difference between non-refined sunflower oil and sunflower butter then???? Sunflower seeds are a whole food, as opposed to the oil, which is pure fat. Since sunflower seeds are somewhat laden with omega 6, it becomes very concentrated in the oil. The seeds, on the other hand, are lower in fat as they contain protein and carbohydrates as well, along with vitamins and minerals. Hope this helps! I’d love to taste the Mead of Poetry…being a poet and a scholar can’t be so bad! Odin carried it back in his mouth, though. Bit of an Alicia Silverstone situation goin’ on. Well, if someone offers me camel meat, I don’t need to worry about whether it’s primal. Just filled with germs. I’m curious about kombucha and other fermented drinks. Being short on time, I didn’t search your site yet to see if you’ve covered those. I’m wondering because I’m stuck on the fact that many traditional cultures have fermented drinks. Obviously the original food, for example, milk, is difficult for a lot of people to drink. So, is it okay then to do something to the milk and drink that? Thanks! How about coconut nectar as a sweetener?? Found the info on pectin enlightening. I used to make my own jams and jellies. About the only fruit that did not require pectin to thicken it is apple. So now we see that pectin which is found in apple skins is both a source of MCTs and can improve cholesterol. Maybe there was some truth in that old adage an apple a day. We have a scrawny Gravenstein tree. I think I may just return to making applesauce and apple butters. Good post! Can I just convey my astonishment that the Worker Bees found a link to camel plague. That is so random, it would never occur to me to look for it. That was a confounder to me, thanks for the info. Great post, thanks Mark! Another mead fan here, since moving to Maine with an abundance of meaderies. Everyone I have introduced to mead loves it. Just don’t expect it to taste like wine. Aren’t all commercially available pectin products derived from corn? Or have corn byproducts in them like dextrose. I’d say that is most def not primal. And the problem with buying even homemade jam from local farms is that they most likely use pectin from corn. Arg!!!!! Mark, you don’t do any Summer Solstice things? Todays the Summer Solstice, well by my accounts, and what it says on my ecological calendar. Well I’ll be celebrating my day by eating the freshest summer vegetables and fruits. Along with some bison steak! Fresh start of the Summer. Any thoughts on taking unflavored gelatin? Just started Great Lakes brand. years ago, i read a story about an account of an escaped convict in Tasmania around 200 years ago. he managed to be rescued by an aboriginal tribe (before they were decimated). one thing he wrote was that for special occaisions the various local tribes used to gather at a place where there were a grove of a kind of Eucalypt whose sap/nectar used to gather in cupped areas near the roots. he described that this “fermented” and was very much enjoyed by everyone! i have made mead before, most australian honeys are from eucalypt trees which should not be used as the eucalyptus oil part of the honey ferments as well, making the mead taste like liquid compost! -I tap sugar maples here in Vermont. Interestingly, the difference between the ‘lower’ grade B and the higher grades (Fancy, Medium and Dark grade A) is that the sap that makes grade B has been allowed to sit in the buckets/collecting tank longer before being boiled down into syrup. I’ve heard that its natural bacteria working in the sap that leads it to have the darker color and stronger flavor in the grade B than the sap which is boiled down earlier. Perhaps the extra minerals/phytochemicals are the result of a mild fermentation? Sunflower butter sounds like a terrible frankenstein concotion. Thanks for pointing out the facts. I want to drink Camel milk right now! I wonder if their fatty humps render into a tasty cooking fat? Mead or this maple syrup might have too much sugar or honey in it? Does the label indicated how much sugar content does this one have? i know that it is a good source of antioxidant for the body but would it be better if you will take astaxanthin instead? According to what I read at http://products.mercola.com/astaxanthin/ that astaxanthin is one of the most powerful antioxidant, but I’m willing to try this meaderies even though you said that it doesn’t taste that good. I am just curious what people do with cod liver oil. Do you just add it to a plate of meat and vegetables? Make salad dressing with it? Do you saute or fry things in it? I just choke mine down… Doesn’t taste all that great and I wouldn’t want to taint the rest of my food with the flavor! Good to hear mead is primal…I’ve got 4 gallons of mango mead fermenting in the garage, and another 3 gallons of blueberry mead in the refrigerator that’s about a year old…YUM!!! (I’ve even taught my daughter how to brew…nothing like passing on something as important as this hobby)! I would like to know how about the king of fruit that can be found widely in Asia–> Durian? Is it primal? what about the fact that pectin leaches micronutrients from the diet? I have a great study on this … as does guar gum. Thanks for the link-back in the mead section. As a fellow paleo/primal person, I would tend to think that mead walks the line on whether or not it is ‘ok’, but honey does go back quite a ways, and there is archeological evidence going back to China 9000 years ago that alcoholic drinks were made with honey, so that much is true. Is my site biased? Well, it sort of has to be biased about mead, since the site is dedicated to providing information to mead-lovers. I guess by that standard, this site is biased about paleo/primal! LOL. All the data I list so far as how far back it goes comes directly from archeological discoveries, and the information they post, not speculation on my part. I link my sources whenever I can find them online. Thanks again for the shout-out, and for a really good article. After tasting organic grade b maple syrup it’s hard to go back to the old stuff. I learned a lot about it here… http://www.gradebmaplesyrup.org. It’s recommended for the lemonade diet, but I find it to be a great treat on all types of food, too. Krill oil – cost FAR outweighs any benefits for me. Nut butters – I have no choice but to avoid as I’ve yet to find a brand which doesn’t contain sunflower, rapeseed or palm oil (or a combo – ‘Sunseed’ is popular. It was invented by Walkers as a ‘healthy’ oil for frying its starchy-tuber based snack products (crisps to me, chips to you) and, as is probably self-evident, is a 50/50 blend of sunflower and rapeseed. What concerns me most, is that he’s marketing this as ‘the ideal sweetener for diabetics’. I did do a mental ‘face-palm’ at the quote from the guy who mixes it into his oatmeal along with a tablespoon of EVCO! I’m looking to move back to Yorkshire, and have been looking into sources of raw dairy (I was raised on raw milk/cream – never did me any harm!) trying to hunt down raw Channel Island dairy rather than that from Holsteins. Now, I realise dairy is a Primal grey area but I do eat a fair amount (there’s a reason I need it but if I were to explain, you’d think me insane!). Except, according to the BDA, I’m mostly dairy-free (even though I eat feta, mozzarella, roquefort, goats’ cheese, ewes’ milk yoghurt, goat cream, etc.) because the BDA defines dairy as ‘cows’ milk and its products’ – milk from any other ruminant isn’t dairy! So, is non-cow dairy preferable to cow dairy, even though it’s not primal…? I do use cows cream a fair bit, for economic reasons; 100ml goats’ cream is 60p/94c; 100ml cows cream can cost as little as 20p. I’ve been emailing dairies which sell raw milk/cream for when I go back home (whenever that is!) can’t find any CI farmers, so it’s Holstein Friesians. 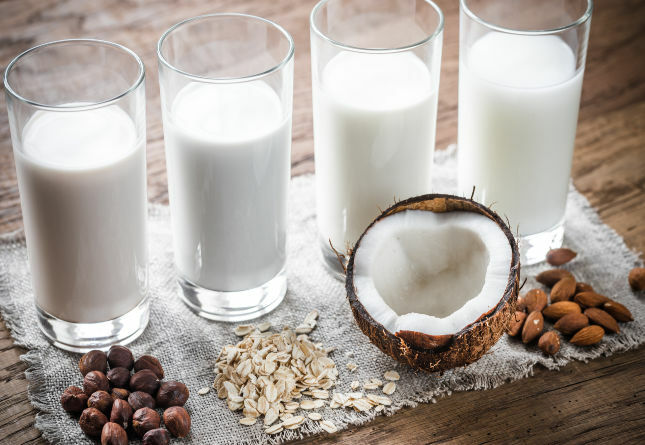 I’m just worried it’s going to be prohibitively expensive – but there are so many reasons for going raw (as one farmer I spoke to put it, pasteurised milk is ‘cow pop’. He drew comparisons between Fanta and orange juice (okay, we all know neither’s particularly healthy, but you get the idea)) I’d love to have it at least 3 times a week. Be careful with Cod Liver Oil. I started taking it about 1-1/2 years ago. Around a year ago, I developed the symptoms of Palmo-Plantar Psoriasis. The skin on my palms and tips of my fingers would blister, peel and crack. Very painful and inconvenient. It has taken me a year through a process of eliination to figure out it was the daily cod liver oil and liverwurst several times a week that was causing it. Doctors could not figure out what was wrong, but I suspect it was a Vitamin A overload. I stopped eating the Cod Liver Oil completely and only eat liverwurst occasionally and am feeling fine now. I’ve read that Cod oil isn’t as high grade as some of the other cold water fish oils like salmon and herring etc. Thanks for the shout out to GotMead.com, it’s much appreciated. Regarding being biased, it’s about mead. It’s no more biased than this site is because it’s about paleo/primal. Gotmead is simply a site about mead.